Anyone who is interested in the meaning of gemstones and who has an interest in history and legend has probably noticed that there are a number of precious and semi-precious gemstones mentioned in the Bible. Many of these gemstones are mentioned in ritualistic contexts. Some gemstones were mined in Israel, but the Hebrew people also obtained gemstones from the Middle East and Asia. Gems which are mentioned in the Bible include agate, amethyst, carnelian, coral, pearl, sapphire, and dozens of others. One of the most prominent mentions of precious gemstones in the Bible is the foundation stones of New Jerusalem. The Book of Ezekiel describes the measurements of the Temple and gates of New Jerusalem, constructed after the first city and Temple were burned down. The foundations of the city walls of New Jerusalem are described in great detail, and contained twelve precious gemstones: jasper, sapphire, chalcedony, emerald, sardonyx, carnelian, chrysolite, beryl, topaz, chrysoprase, jacinth, and amethyst. The gates of the city themselves are described as pearls, the walls jasper. Each of the foundation stones was inscribed with a name of one of the 12 apostles. Curiously enough, the construction is described differently in the New Jerusalem Bible (NJB). The stones listed for the foundation include diamond, lapis lazuli, turquoise, crystal, agate, ruby, gold quartz, malachite, topaz, emerald, sapphire, and amethyst. The walls are listed as diamond. Being as the version in the paragraph above is older, it is probably the more accurate of the two. The priestly breastplate, sometimes known as the Breastplate of Aaron, contains another prominent mention of gemstones in the Bible. This is the sacred, ritualistic breastplate which was worn by the High Priest of the Israelites according to the Book of Exodus. It is also sometimes known as the breastplate of judgment. Once again, the number 12 was important’the breastplate contained twelve jewels, and each was inscribed with the name of one of the Israelite tribes. One of the reasons that there are two versions of the Foundation Stones, as discussed above, is because the Hebrew names for minerals are not entirely clear to scholars today. This has led to some confusion concerning the gems which were used in the breastplate as well. They were named clearly in the Greek Septuagint translation of the Hebrew Bible, but by the time that translation was created, the breastplate was no longer in use. This, as well as the fact that some of the Greek gemstone names have changed in the intervening years, continues to muddy interpretations. It is believed that the stones used in the breastplate must have been somewhat soft, since the breastplate’s artisans were prohibited from using paint or ink to mark them and were not allowed to use chisels either. To inscribe on them ritualistically using Solomon’s shamir (described as a mythical substance with the power to disintegrate stone’perhaps some kind of acid), they would have to be susceptible to a gentler engraving technique. The best guess of scholars is that the first row contained red jasper, topaz, and emerald. The second row contained garnet, malachite, or turquoise in the first slot, lapis lazuli in the second, and onyx in the third. 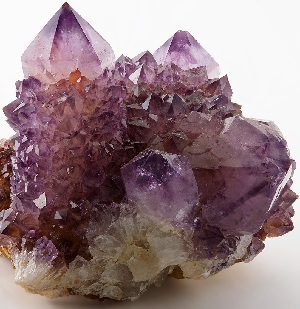 The third row contained amber or jacinth, agate, and amethyst. The fourth row contained jasper, serpentine, lapis lazuli, amber or topaz in the first slot (scholars are quite uncertain about this one), malachite or onyx in the next slot, and ruby, hyacinth or emerald in the third. In the Book of Revelation, a description appears of a city wall with layers of stone. This list appears to be based off of the priestly breastplate, and may shed some additional light on the stones it contained. The city wall was comprised of iaspis, sapphiros, chalcedon, smaragdos, sardonyx, sardion, chrysolithos, beryllos, topazion, chrysoprason, yacinthos, amethystos (in the original Koine Greek). Of course, this description could also be based off of the writer’s own best guess as to the stones contained in the breastplate and may not lend additional veracity to the interpretation. Regardless, it is yet another interesting connection to the breastplate. Moses and Aaron, Nadab and Abihu, and the seventy elders of Israel went up and saw the God of Israel. Under his feet was something like a pavement made of lapis lazuli, as bright blue as the sky. Note that the word ‘sapir’ is used in the original text. 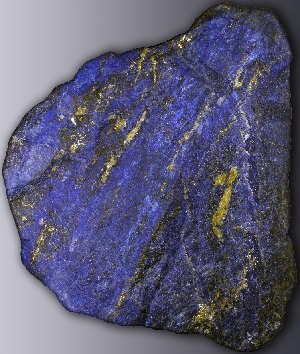 This word apparently referred to lapis lazuli, not to sapphire as many assume. Sometimes you will see the word ‘sapphire’ used in English versions of the text, but this is a mistranslation. Actual sapphire did not appear in the lands in question until 300 BC. Pliny the Elder describes ‘sapir’ or ‘sapphires’ as an opaque, azure-colored stone with flecks of gold. That describes lapis lazuli quite precisely. It is a common interpretation of the text that the stone used for the Ten Commandments was actually cut from God’s throne by God himself. So the tablets on which the Ten Commandments were engraved were also presumably lapis lazuli. Blue is considered a holy color in Israel, and this is likely the reason. It is a direct reminder of the throne of God and the Ten Commandments. There are other gemstones that appear in the Bible, but these references are certainly the most prominent of them. It can be frustrating to Bible scholars to deal with the complex ambiguities which emerge from attempts to translate the original text, but these are nonetheless some of the best guesses currently available. Each of these gemstones was certainly accorded a great deal of meaning and significance by the Hebrews. And to those who study Biblical lore, these gemstones continue to hold great meaning and interest today.